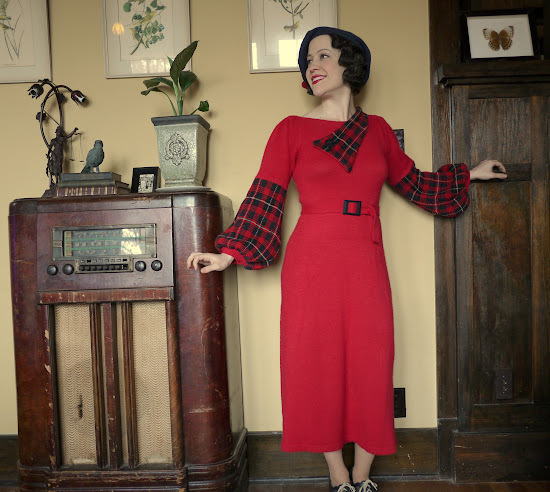 This Old Life: Altered Knits: Mad About Plaid Part Deux! This is simply wonderful! Looks stunning, fits like a glove, and such an eye catching combination! And to think it only took 3 days to put together! My husband loves Haggis, me not so much....glad you enjoyed your gathering. Looks brilliant - I never would have guessed this was two garments spliced together. Well done! That dress is so lovely and you look so good in red! This, and you, are absolutely amazing! I'm going to have to look out for similar materials to work with, I'm completely inspired! Oh my goodness!I love it! Very lovely. You have a great eye for being able to re-purpose garments. This is truly gorgeous! I've just found you, I even showed my OH your creation and what you made it from and he just said AMAZING! He's right! The whole outfit is breathtaking, more so when you consider what it started out as! FABULOUS! I just LOVE it! It's WONDERFUL! Your projects are always an absolute inspiration. Using that plaid vest for the accents is absolutely INSPIRED! Jealous that you keep finding affordable sweater dresses to alter - my searches never seem to turn up any. That is such a fantastic conversion. It looks perfect. I'm so envious of your dressmaking talents! As usual you look outstanding!!!! Beautiful job! 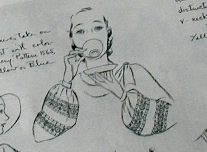 I love 30s fashions and you've such a good job capturing the style. It looks stunning!! I am always extremely impressed by your sewing skills! It doesn't even remotely look like two pieces you have altered together. It just looks like one fantastic dress! You look awesome! I love the plaid with the red. Wowsers! You are a genius with knits! Love the dress and your pose. The photo looks like a vintage movie still. It's just lovely--the whole thing is perfect. The fit, the plaid, the belt, everything! So pretty! Love your dinner,too. 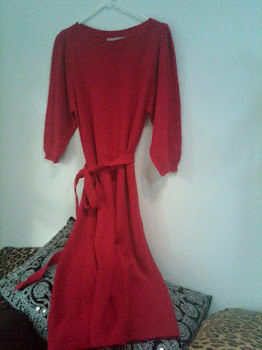 I think this may be the most fabulous red dress I have ever seen! I LOVE it! I will tell you what everybody have already told to you... YOU ARE AMAZING!!!!!!!!!!!!!!!!!!!!!!!!!!!!!!!!!! Oh my goodness! I love what you've done to the dress. It looks amazing and ver 30's style. 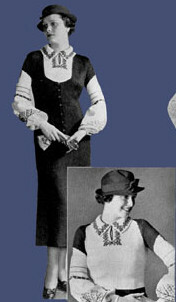 This makes me want to do some 30's style revamping aswell... I need more winter clothes and similar project would be perfect thing to do for winter. So fabulous, the colours match wonderfully and you look gorgeous. I don't think I could come up with enough good things to say about it, it's just perfect! The plaid is wonderful with the red. I am so impressed with the phenomenal transformation. I love this. 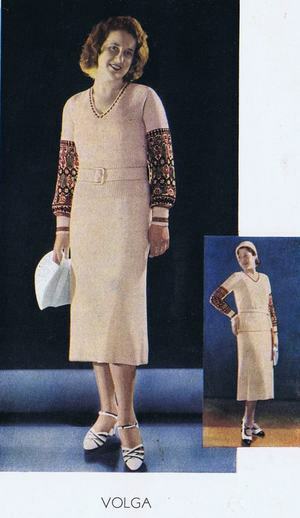 I spend a lot of time gazing at knitwear in Charity shops trying to figure out if I'm up to the challenge, and if I will find the necessary contrasting garments to do something similar. Now that I see what you have done I'm just gonna do it next time!